One person’s political gain is another’s plea for safer streets. 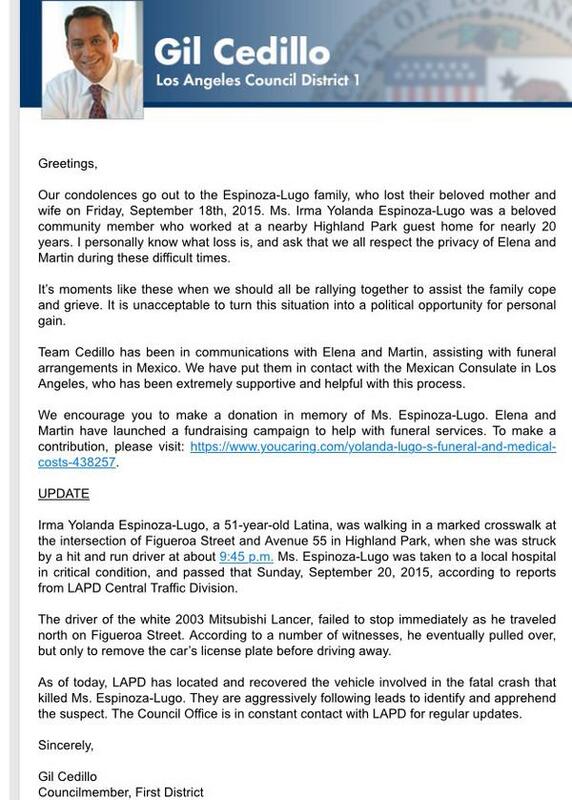 CD1 Councilmember Gil Cedillo sent an email saying it’s unacceptable to use the hit-and-run death of Irma Yolanda Espinoza-Lugo on North Figueroa for political gain. Except that seems to be exactly what he’s doing. Especially since this wreck occurred on a stretch of North Figueroa that would have already undergone safety improvements if Cedillo hadn’t personally blocked them, despite overwhelming community support. It just keeps getting nuttier down in Coronado. After banning a beach bike path because it would attract bike riding tourists, and halting planned bike lanes because they would introduce vertigo-inducing visual blight, residents are now going after proposed traffic lights for fear they will cause gridlock, noise and pollution, and forever change the city’s quiet, calm atmosphere. Because that’s what traffic lights do, evidently. Bighearted people continue to make the news. A Kansas cop brought a homeless man to tears by giving him a bicycle from the department’s stash of unclaimed bikes, so the man wouldn’t have to walk several hours a day to his job. And an anonymous donor replaced the bike stolen from a British Columbia teen after his was taken when he stopped at a 7-11.
Business Insider offers a close-up look at Peter Sagan’s $9,250 world championship winning Specialized S-Works Tarmac. Note to TMZ: That’s a “super expensive” bike, not this. An Austrian cyclist who took a frightening spill during the U23 road race blames a broken steerer damaged when his bike flew off a support car during the time trial. Cycling Weekly looks at the six Brits who have won the worlds, including this year’s road race champ Lizzie Armistead. And both drivers and cyclists say better education is the key to building on the success of the worlds to make Richmond VA a safer place to ride a bike. 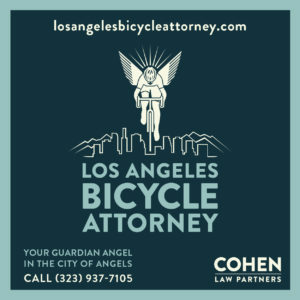 CiclaValley says Times’ columnist George Skelton’s call for a registration fee on bike riders is flat Earth thinking. Meanwhile, a Modesto rider says go ahead and bill him 60¢ for the wear and tear his bike causes on the roads. The Los Ryderz bike club in Watts will ride for cancer awareness on Saturday, despite losing their tools and a pair of bikes in a break-in. This would be a good opportunity for some bighearted people right here in LA to step up and help replace them. Friends have set up a gofundme page for a Long Beach bike rider who was seriously injured in a collision with a truck last week; the fund has raised $7,285 of the $10,000 goal in just five days. Thanks to John McBrearty for the heads-up. 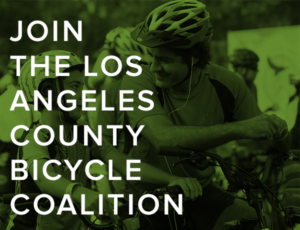 A Bike League webinar will feature Daniella Alcedo from the LACBC’s Pomona Valley Bicycle Coalition and Maria Sipin of Multicultural Communities for Mobility this Thursday at 11 am. Krosstoberfest comes to Long Beach this Saturday with the SoCalCross Prestige Series cyclocross races at El Dorado Park. I can almost hear the polka music and smell the muddy lederhosen already. Celebrate Rideshare Week with a ride on the karaoke rickshaw October 5th through 9th. A teenage bike rider was seriously injured in an Escondido collision after witnesses said he rode through a red light and into the path of an oncoming truck. No bias here. A Banning newspaper says a Beaumont cyclist was injured after “driving” into a car, even though it says the driver didn’t see him. The driver must have left crossed the rider, since they were going in opposite directions on the same road. 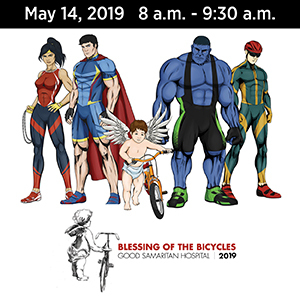 Saturday’s Simi Valley Share the Road Ride will honor fallen cyclist Phil Hernandez, while calling attention to the need to make room for bicyclists; riders can choose courses from 25 to 100 miles. The San Francisco Chronicle rejects the call for an Idaho stop law, saying road safety and established law trump the inconvenience of stopping for a stop sign. Meanwhile, after the city’s mayor threatened to veto the ordinance because he won’t trade safety for convenience, Streetsblog SF offers proof he does exactly that on a regular basis. Bad enough that we have to worry about dangerous drivers; a Berkley bike rider was injured when a falling tree knocked down a power pole and he crashed into the fallen power line. 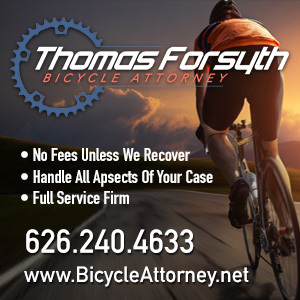 The bicyclist killed in a Yolo County time trial over the weekend was an experienced cyclist who worked as a consultant for Oracle. Police say both the victim and the driver appear to be at fault, since the driver passed unsafely while the victim wasn’t riding far to the right. 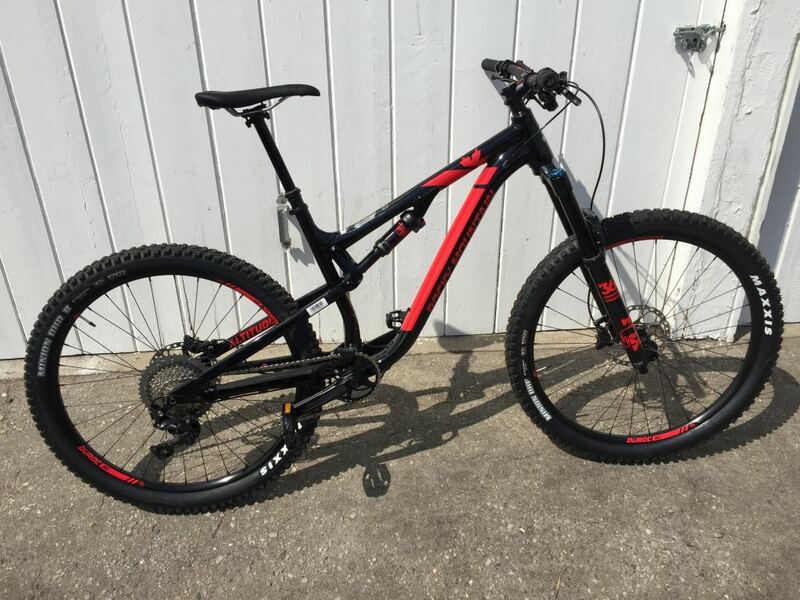 If you have a bike with disc brakes, there’s a good chance it may be on this recall list. Thanks to Mike Wilkinson for the link. A pair of filmmaking adventurers rescue an abandoned puppy while on a 900-mile bike trip to climb 45 towers in the Southwestern US. There’s special place in hell for someone who would steal a pair of custom-made tricycles that provide mobility for a wheelchair-bound Portland woman. City officials in Boulder CO vote to undo a road diet in the face of vitriolic criticism, even though it improved safety in the short amount of time it was allowed to exist; People for Bikes says it will be just the fourth protected bike lane removed anywhere in the US. An Iowa man faces up to 25 years in prison for killing a bike rider taking part in a group ride; his BAC was nearly three times the legal limit at the time of the crash. Opinions vary over a protected bike lane currently under construction in Chattanooga TN, even among bike riders. Instead of complaining about the loss of just 15 parking spaces, try installing a few bike racks to draw customers on two wheels. A writer for the Wall Street Journal seems surprised he survived his first ride on one of New York’s Citi Bike bikeshare bike. Philadelphians call for car-free weekends in the city center after the papal visit shows how nice the city could be with fewer cars. A North Carolina man seems to be on a one-person crusade to have ghost bikes removed. A Florida legislator re-files a vulnerable user law that would require drivers to yield to bike riders and pedestrians when making a right turn that crosses sidewalks, bicycle lanes or bicycle paths. Once again, bike riders are the good guys, as a pair of British paramedics drop out of a charity ride to help a woman injured in a car crash. An Irish cyclist has his bike stolen after it carried him over 18,000 miles around the world; he was the only one of four competitors to finish last year’s World Cycle Race. Wired says the recent car-free day in Paris shows what our cities can be. A Danish study looks at the behavior of road users to determine the ideal width for two-way cycle tracks, concluding after a number of complex calculations that the magic number is 7.38 feet if there’s no parking, and 7.7 feet if there’s parking alongside the bike lanes. Australia’s Victoria state has promised key bike projects, but failed to deliver. Sounds familiar. You too, can learn to pop a wheelie in just 35 easy lessons. For anyone unclear on the subject, throwing it through a restaurant window is not the proper use of your bicycle. And that’s what I call a foldie, e-bike or otherwise.